Market Report Winter 2017/18 - Ultra International B.V.Ultra International B.V.
2017 saw the first season for a few years in which the number of fresh fruit and those fruits sent for processing declined. The official number wouldn’t suggest a huge impact but global demand growth and perhaps expectations that Argentina would do better than it did, put huge pressure on the market. ‘For MY 2016/2017, Post revised fresh lemon production down from 1.37 MMT to 1.27 MMT. This decline is due to frost that affected the main lemon growing region in early September 2016 during the fruit set, extremely high temperatures in the summer time, and excess rain in March, which delayed the harvest and marginally affected the fruit quality.’ These figures looked to have been very accurate and have been later supported again by the USDA and Federcitrus. Processing figures followed the trend of the fresh fruit market as 80% of all lemon fruit go to the processing market in Argentina, unlike in other countries where the fresh market is more dominant. With global oil demand up around 5% the net affect of any decline in production puts pressure on the market as little carry over was reported from 2016. We can confidently say that with the market active in the final quarter of 2017, we are again in a situation where there will be no carry over of oil supplies into 2018 so we will wait with some caution the forecasts for the 2018 Argentinian season. There is also a close eye being kept on fresh fruit export opportunities with both the USA and Brazilian doors recently opening for future fruit supplies, which could reduce the amount of fruit heading for the processing market. There continues to be steady progress with sales and production increasing at a healthy organic rate. Recent upgrades to the distillation facility have increased capacity with larger batch sizes now available. There is stock available on the ground for quicker turnaround times than in the past. Markets have firmed in recent months despite an increase in capacity. Driven by the growing aromatherapy market demand has reached new levels. It is unclear at the time of writing as to whether or not the patent on the distillation process will be renewed into 2018. If so the monopoly continues, if not then it paves the way to new competition to come online later in 2018. Today there is no material available. Oil is available and can be scaled up in the short-term to as much as 20 MT per annum should it be required. It is now on trial for a number of new applications so we expect to see an upturn in demand very soon. The total size of Australian production is hard to calculate but it is not thought to be larger than 7 MT per annum with demand possibly 3 times this! There are several known investments in place to ensure that by 2018 there is more product available from newer plantations. Nevertheless, currently pressures on the market remain in place with prices rising on the back of more trading and desperation from end users to secure material. There are continuing investments into harvesting and distillation methods and capacities across Tasmania with grand plans to produce as much as 5 MT over the next couple of years. These additional volumes are already committed to the growing aromatherapy demand so further investments are being considered. Supplies today remain stable but availability is limited due to the pressure from new demand. Markets are very difficult as they’re monopolised and demand is growing beyond the means of the supplier. Short term this will be a problem but there are some plans at an early stage to improve this over the next years. There are now two qualities in the market as different growing regions within Australia produce different qualities of the same botanical. Supplies on the mainland have been limited so the introduction of a sustainable alternative (referred to as Southern Rosalina) has been very welcome, in particular in the aromatherapy sector. Expect supplies to improve into 2018. 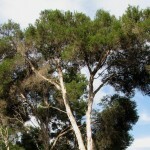 The supply of Indian sandalwood oil from the two plantation producers continues, despite the ongoing financial instability recently reported, and with this there appears to be reasonable oil volumes available. Pricing looks to have dropped significantly from the US$4,500 being offered a year ago to sub US$3,000 per kg for small volumes and as low as US$2,600 for large volumes. There are still issues around the stability of one of the producers but there are some indications that their future will be resolved shortly. This is a relatively new oil on the market from the Queensland sandalwood species that has traditionally been used for incense and carving. It has a light woody odour with slight citrus and floral undertones and a lovely golden colour. 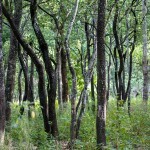 Unlike other sandalwoods whose feature is the base note, this oil feels rounded from the start. Its top notes are typically sandalwood and on dry out it loses none of its unique character. Today supplies remain steady with the producers willing and able to supply up to 5 MT per annum. If you are going to add a new oil into your palette this year then consider this one. It won’t disappoint. 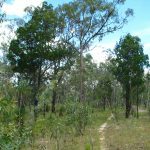 As indicated in our previous reports the WA sandalwood oil industry has been unsettled for sometime and a new supplier was about to come to market. We can now report that the new supplier, Dutjahn Sandalwood Oils, has commenced production and the plant was officially commissioned on the 5th December by The Treasurer of the West Australian Government, who is also the Minister for Aboriginal Affairs. His attendance was very relevant as the company is 50% Indigenous owned. The company has advised that oil will be available in January 2018 and that it is planning to produce 3,500 kg in 2018 making it a significant supplier in what has been a ‘starved’ market for the past years. The major competitor to Dutjahn Sandalwood Oils has also re-commenced oil production after an injection of funds from the major external bondholders and this should see an improvement in supply during 2018. It is hoped that these two investments are going to settle the market and encourage the re-use of the oil as people’s first choice sandalwood. Although there are no official figures as yet we have certainly seen a year in which overall production fell when compared with last year. We can also feel the fact there is little material remaining at origin as a strong last quarter in sales has left pipelines dry which could be an issue in 2018. Those pre-season heavy rains and floods were the main cause of lower production with many plantations sitting under water for a sustained period of time, while many younger plantations were washed away. The total impact on production was thought to be around 20%, slightly less than earlier forecasts but still a significant number in a market where demand is growing. Between the start and the end of the season prices increased between 10-15% as those late harvesters or farms not in a rush to sell benefited from the late surge in sales as buyers faced limited options to find those still with stock. It is expected that the 2018 season will open with some of the lowest carry-over stocks seen for a number of years. This will put some immediate pressure on supply and the hope of an early and good season ahead. Between now and then (June 2018) we are likely to see some further increases in price and with this we can assume that the new season’s prices will open higher than those in 2017. Interest continues to grow with tangible results now being seen in markets across Europe and Asia. Capacities remain at around 5 MT per annum but thoughts are in place to expand capacity given current interest and on-going development work at the end user level. The growing area is said to be well protected from any unusual climatic conditions and therefore similar levels of production are expected during 2018. Domestic demand for fresh fruits meant a reduction in the past couple of years of limes being sent for processing. It is anticipated that the net effect is around a 15% reduction in oil processing, a trend that we may continue to see. Brazilian oil has strong competition from Mexico and within the EU market is disadvantaged by the fact that Mexicans enjoy a zero tariff. Most exports are typically made early or late in the calendar year after the Mexicans have sold their oil. Last year this was an issue as the Mexicans had surplus oil, this year it may be an advantage as they are expecting shortages into 2018. The main citrus areas in Florida may well be around 6,500 km away but the impact of Hurricane Irma’s destruction didn’t do the Brazilian ‘recovery’ any favours. The recovery process was always going to be an uphill battle to try and get the market somewhere close to being more satisfied with supply but half way through the season this is looking more and more unlikely. The volume of oil that Irma probably took out of the market is a drop in the ocean versus the amount Brazil produces but you can see from the charts that it leaves another hurdle to climb, widening the deficit between historical average years and this year’s expected production volumes. Brazil’s production forecasts are set to be mightily improved on last year but total production (Brazil and Florida combined) still falls well short of the 14-year average by as much as 15,000 MT of oil or, if it’s easier to understand, that’s somewhere between 30-35% of what would be classed as ‘normal’ in any given year. Bringing the market back to a reasonable balance this season was already going to be a challenge but those extra losses from Florida now make that challenge even greater. If we take Florida’s losses to be closer to that 50% droppage forecast by the USDA, its oil output will be reduced by around 3,500 MT making the gap between this year’s total production and that 14 year average now closer to 20,000 MT. This is a huge number, which represents around 8 months production! 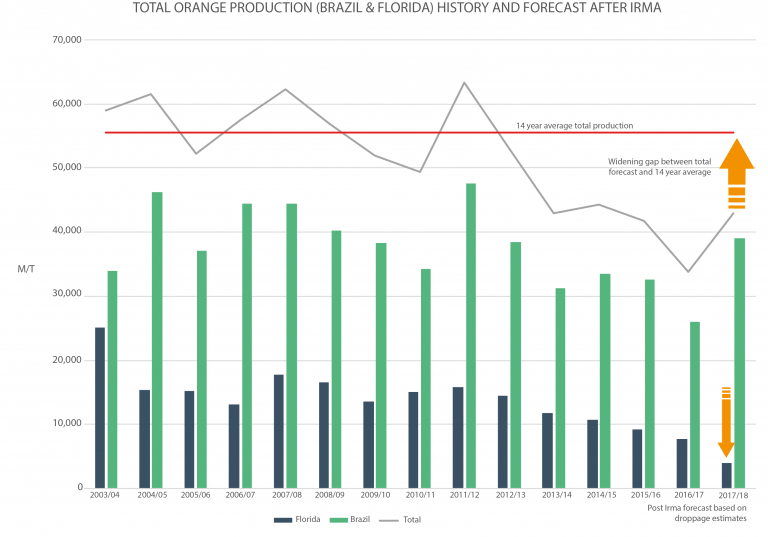 According to one major producer in Brazil, this season’s oranges are already 70% squeezed and whatever is left to pick is delayed due to excess rains. In their opinion, buyers should buy at today’s price levels but they recognise that such advice is likely to fall on deaf ears, as many buyers are still of the belief that prices should fall. Whether they do or not is beyond our control but when you look at the facts the pipelines are still relatively dry, the major producers are well behind on their shipments, prices are still firm and statistically we are up to 20,000 MT short of oil to make up a normal year. As there was no oil, only backlogs, prior to this season’s start it would be fair to assume that it will take at least another good season like this one from Brazil in 2018/19 to get the market back close to being balanced. Then and only then could we envisage some softening in prices. That said, we all know that often the obvious supply and demand maths don’t reflect prices, we can only use this as a guide and try to make smart decisions. Forgive the pessimism in all of this but sometimes we need a reality check. People are asking daily when will prices come down but for that there is no simple answer. Price is driven by many market dynamics, one of which is the supply situation. All I can say, having looked into the detail of the supply, is that I cannot see any factors during this season as to why supplies will improve enough to allow any softening in price, only the opposite. Expect continued pressure on prices until the figures start to suggest the market is re-balancing. In reality this will not happen this season (ending June 2018) and will probably carry through to the 2018/19 season. As with orange oil, it is expected that we will see another difficult year during 2018 but in the case of terpenes, availability will be more of a concern than price. Markets have been stable for some time and even with the emerging new producers in other countries the Bulgarian quality has maintained a position of quality due to its higher chamazulene. There is potential for this to change in 2018/19 as more end users consider other origins but with demand growing globally it is hard to forecast where the supply and demand balance will end up. It has been well documented and it’s well known to us now that 2017 was a challenging year for the global lavender markets, no more so than for the Bulgarians. Prior to 2017, it had felt like the Bulgarians could do no wrong as year-on-year investments and production growth supported the increased demand throughout the market. You could even be forgiven for assuming that Bulgaria’s production rate could grow quicker than demand but as with many sentiments this couldn’t have been further away from reality! 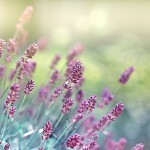 Demand rose beyond everyone’s expectation, fuelled by the booming growth of the aromatherapy sector. Then at a critical point Bulgarian production had its first major setback in years. Many had been predicting further growth in 2017 production, which had already grown significantly over the past 3 years. Predictions varied, but something close to 350 MT was reasonable to predict – a growth of 70MT on 2016. However, poor climatic conditions led to some very low yields in certain parts of the country and total output fell close to 220 MT – a 60 MT fall on 2016. More to the point, it was 130 MT on what had been expected – a figure that would have been close to the market requirement needed to meet continued growing demand. The net impact was obvious and only at the end of 2017 have we seen speculation slow down as many hope to have secured what they need for the first half of 2018. There are many predicting that the price rises will start again in the Spring as it’s unlikely that there’s enough oil in the pipeline to see us through to the next harvest. By Spring we will also know how the 2018 crops are looking and this news will influence what happens to the price before the new season begins from late June 2018. After a nervous start to the 2017 season we ended up enjoying some good yields, the only issue seemed to be you didn’t always get good quality oil. Much of this was put down to the fact there was a bumper bloom at harvest time and all the rose petals simply couldn’t be picked in time and then processed. The result left too many petals hanging around prior to distillation, which impacted on the quality of oil. Others may say that the real reason was a little more sinister with some producers possibly blending oil from Iran and Turkey and selling it as pure Bulgarian! Not judging the reasons, the net impact was a slight over supply of oil as there are still some volumes left at origin at the end of 2017, which is unusual based on recent years. Make sure your QC takes a good look at the quality you’re buying and be wary of low priced offers as you’re probably getting what you’ve paid for. In order to ensure it is pure Bulgarian ask your supplier if they have a PGI Certificate (Protected Geographical Indication) which guarantees that it is authentic 100% pure Bulgarian rose oil with full traceability. Yarrow has remained a niche essential oil for production in Bulgaria, but recently there has been a growing interest in this herb due to its deep blue colour and medicinal aroma that the aromatherapy market has started to adopt. In 2017 we saw a very large spike in demand, quantities remain available but prices are higher than average. A return of demand rather than shorter supplies has seen prices increase a little over the past months. It isn’t expected to jump much further unless this demand pattern continues to grow as production has been lowered (by around 20%) in recent years to align itself with the smaller demand. Any sudden changes in demand could see some additional pressures but this isn’t expected by most. The season will be finished by January 2018. No major changes expected. The global market this year has been firm as the two major suppliers, China and Indonesia, have both experienced higher than average rainfall and lower than average production. China’s output last year dropped from 2,300 MT to 1,500 MT as a result of the inclement conditions and has faired no better this year, with the season ending in October. In a similar story to Indonesia, rains in Yunnan Province have impacted yields and with all major global growing areas suffering simultaneously the pressure is firmly on this essential oil. The lack of stocks at this time of the year is of real concern so expect prices to remain firm for the foreseeable future. The eucalyptus market is in a mess. As the new season begins prices are at record highs and despite the start of the new season, they continue to rise. Total output is again expected to decline, just as it has in recent years. Last year saw a 20% reduction in overall production, 10% the previous year and no one is committing to any figures for this year as they are only expected to fuel further price increases as buyers scramble to secure any supplies. Don’t expect the new crop to bring any major improvements in supply. Price will be dictated by market demand and buyers critical need to secure stock. There has been little production over the past 18 months which has put immense pressure on supplies and with it market prices. Today, prices are higher than they have ever been with no real positive foreseeable changes on the horizon with environmental protection orders set to remain in place. Increasing demand continues to put pressure on supplies and with it prices as the trend of the last 12 month continues. No carry over stocks before the 2017 season (May-September) suggested that the pressures would remain and they did. Now the season is long behind us, prices continue to rise as supplies at origin dry up and may only further increase until the 2018 season. Despite a return by some farmers to plant more this year’s poor weather conditions have impacted yields so no additional supplies have materialised despite plenty of effort. If the growing areas receive better weather conditions, the additional plantings could help ease the pressure on supply. Supplies remain difficult as environmental protection orders mean farmers have not been able to distil much oil even when raw materials have become available. So we remain in the same position that we have been for a while now. There is no surplus oil available and most production is made to order. Price has in fact continued to rise during the course of 2017 and may continue to do so into 2018. Over the past couple of years, the Chinese quality has lost some presence in the international market place as other origins continued to blossom. As a result, there has been little investment in new plantations leaving the total growing areas for this year similar to previous years. Chinese farmers prefer to dry their flowers to sell to the local tourist markets and any oil production is also consumed domestically. In recent years, Chinese oil prices have been uncompetitive but this year has seen them realigned with the market as other origin prices increase. Overall volumes in 2017 were estimated to be around 20MT (as there are no official figures) with some supplies remaining available as we head into the New Year. Prior to the start of the 2017 harvest there were concerns that heavy rains would once again impact the crop. Like last year, when a similar scenario played out, prices increased towards the end of the season (October/November) as it became apparent that supplies wouldn’t meet demand. Prices hit record highs in October but have since stopped rising. That said, there is a general concern that a lack of carry over will again cause prices to rise in 2018 at least until the next crop nears in July. No real changes as markets remain stable with demand constant as in recent years. Demand tends to increase when Australian prices rise but the weak Australian Dollar has created cheaper Australian export prices in recent times despite local prices increasing this season. As always, China exports vastly different qualities of tea tree oil and so called ‘tea tree oil’ so buyers should take care when comparing Chinese oil with industry standards from Australia. After all, ATTIA (Australian Tea Tree Industry Association) last year posted the results that 10/10 commercial samples analysed from China were all adulterated. If there is ever an example of having too much of a good thing, then maybe that’s what we have with the helichrysum market today. The establishment of a number of new plantation areas across Central and Eastern Europe saw production increase dramatically in 2017. Some will point to this as welcome news as reduced harvesting controls in recent years had caused prices to increase. Today, we have the opposite, resulting in what some are calling the disconnect between market end users and growers. The increase in price and fall in production during 2015 led many to believe that they should invest in plantations. It seemed this was on the back of some wishful thinking by many who thought that these higher prices could be maintained even when production quadrupled! Obviously that hasn’t been the case with many offers still currently available, which is a little unusual for this time of the year. Prices are expected to soften over the coming months as producers look to offload some remaining stocks ahead of the 2018 campaigns. Let’s hope the market quickly balances so it is fairer on all concerned. This is one lavender where production volumes haven’t really suffered this year unlike others across Europe. Last year saw a bumper production and this year volumes are lower but only back to ‘normal’ levels previously seen. The new season couldn’t come soon enough as market prices had risen dramatically early in 2017 due to a lack of supply as a result of a poor 2016 crop. The harvest started early August and finished in October but prices remain high as farmers demand unrealistic prices for their oil. It has been a strange situation where the market needs oil but they are reluctant to buy at such prices. Expect the farmers resistance to end early in 2018 and material start to flow again with more realistic prices. The 2017 crop was reasonable and some quantities are still available. That said, there is reportedly a lot of material of a lower quality being offered as material was distilled long after harvesting. For this you may pay 15% less than the standard market prices. Overall demand appears to be lower but this may be a result of other origins offering similar quality and slightly better value material (Bulgaria and Russia) although some Egyptian producers remain defiant that their quality is the best. The market is fairly flat at the moment as most production is made to order around May-June and with some carry over supplies from 2016 still in the market there is no problem of availability. Prices for Egyptian quality remain higher than that of other origins but some prefer this type and are happy to pay the premium. Prices remain stable but firm after the 2017 harvest with supply and demand well balanced. As with last year, you may expect to see prices rise early in the New Year, as stocks at origin get depleted, so always better to take your cover now rather than late in the off season. Next crop May 2018. There appears simply no way to predict the market prices for this product as the material seems to defy all supply and demand patterns and at times has its own external influences. All we can do is try to follow the facts in the hope this may guide us on future pricing but don’t be too sure! Demand in the final quarter of 2017 seemed to increase, no doubt helped by the ongoing supply issues from China. In fact, there are many reports that the Chinese are buying Egyptian oil to supplement their own production and given the huge price difference and small quality difference between the two origins you can see why this will be a real business opportunity. However, despite this it appears the average export prices from Egypt have fallen with some volumes available from as little as USD 90.00 /kilo. There are many variables to consider with this oil but it is recommended to shop around as you may get a bargain early in the New Year! The markets were brought back into line after the 2017 harvest as producers purchased smaller amounts of flowers to produce a lower quantity of oil. This was due to the fact that following a bumper crop and production in 2016, a surplus still existed before the start of the 2017 season. Today, the markets are stable and with just enough to see us through to the next season in June 2018. Markets are flat with little interest from the market and little production to go with it. There are small volumes available at origin, which will keep the general market satisfied. French producers have been investing heavily in their clary sage growing areas over the past few years and with it we have seen a significant increase in production. If we look back a few years we can see a 3-fold jump in oil volumes, from 10 MT in 2015, 18 MT in 2016 and a figure of around 30 MT in 2017! We now believe there to be around 2,000 hectares of clary sage plantations in the areas surrounding Provence. Despite the increased volumes, the markets have generally absorbed these increases and prices have even risen as a result. Some put the price increases down to farmers and cooperatives drip feeding the market to ensure prices didn’t fall or even pressure buyers into taking more clary sage at higher prices as part of a package with other products. It’s hard to ascertain what volumes remain at origin as we go into 2018 but we are led to believe that we can expect similar volumes to be produced in 2018 as there were in 2017. A new product for the region with production slowly growing in line with new interests from niche markets. Whilst dwarfed by comparison with other producing countries, the French continue to invest in new plantations, increasing the growing area to 200 hectares in 2017. This should increase to 300 hectares in 2018. It produces limited oil volumes but has sparked some interest from end-users looking for an alternative source for their coriander needs. No change of late. The markets are stable with good supplies at origin. This is not expected to change any time soon. There was a good harvest in 2017 with the southeastern regions of France producing almost 500 kilo of oil. This is a marked increase on the 200 kilo in 2016 and 80 kilo in 2015! While French producers would claim their oil is better than the more traditional Croatian type, the Croatians would probably say the same for their oil. With the increase in production in both growing areas there is a general expectation that prices will soften but be cautious about this. Demand is growing in the aromatherapy market and given the cost of production, due to small yields, producers will be reluctant to see prices slide and will instead perhaps wait for the markets to catch up with the new demands rather than sell cheaply. That said, it could be a long wait if total European production volumes are to be believed! Production in 2017 was around 15 MT, reflecting the continuous demise of this product. Year-on-year production volumes fell with today only 700 hectares of plantations remaining. There is little material currently available in the market but there is also little demand as most end users have now reformulated to ensure their production isn’t at the mercy of an oil facing extinction. 2017 production was down around 15% on 2016 due to many plants being killed in an extreme drought experienced in the months leading up to the harvest. Also this will have an impact in 2018 as replanting needs to be established in many areas. It is estimated that total production will be around 1,200 MT. During the later stages of 2017, prices peaked at levels not seen in recent times as traded oil hit close to €40.00 /kilo! It seems it will be difficult to secure additional volumes in the first half of 2018 without having to pay a significant premium as traders look to make higher margins on the reduced volumes from their 2017 allocations. It’s hard to be optimistic about 2018 since we are already aware of the likelihood of a lower crop due to the damage caused in 2017 and with demand certainly on the increase! 2017 production was no more than 25 MT, which represents a continued year-on-year decline with 2016 production estimated to be closer to 30 MT. This was a result of damaged crops due to drought hitting the area since the Spring. Prices for this ‘Super’ type have risen on the back of lower supply, which may in itself cause long-term damage to its usability as end-users are tempted to reformulate to other lavandin or lavender types. Fortunately, if you can alternate between origins, there are other options available to those who like this lavandin type. Late frost created some damage to 2017 production of lavender Population, which was in part offset by the increased growing areas. 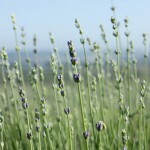 Clonal lavender production decreased around 10% and Maillette around 15%. Total production of all types was estimated to be 70-80 MT with markets very firm given the global supply situation. For the first time in many years, supply has caught up with demand and this has brought some welcome stability to the market. A few years ago, demand spiked and this took producers by surprise. As with most essential oils, it takes a few seasons for new plantations to yield positive results but it looks like we’re finally there. Prices have maintained some stability and may even soften a little if we have another good season in 2018. Total production in 2017 was half that of a typical year as raw material supplies continue to be scarce. Deforestation across Haiti is the main cause for concern with the only known supplies of Amyris in deeply remote and inaccessible areas. All processors are reporting issues in obtaining raw materials and all are expecting some major supply issues in 2018 with prices no doubt rising on the back of it. It has been a difficult 12 months in Haiti with heavy rains and flooding hampering harvesting efforts earlier in the year, which forced some producers to close their facilities for several months. Thankfully, there is a little more optimism for 2018, as raw material supplies should improve. There are mixed reports on how this will influence prices as some farmers in different regions are asking much higher prices than others (20-30% difference). How this will average out remains to be seen but the fact that raw material supplies should improve will bring smiles to many faces after a difficult 2017. In 2016 total demand was said to be around 38,500 MT and in 2017 there was a 5,000 MT carry over and 32,000 MT produced. Total demand is said to have grown slightly, However, total production plus carry over supplies will only just balance the current market demand and has left us with zero carry over for 2018. This will in itself potentially cause large price spikes into 2018, which also isn’t helped by external pressures from oversold synthetic production, meaning more users are turning back to natural options. 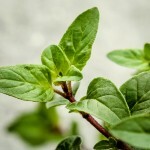 The growing areas have been down year-on-year for several years now as the natural markets realigned themselves to the introduction of synthetic alternatives and a downturn in demand for natural mints. Since 2014 plantings are 50% lower. 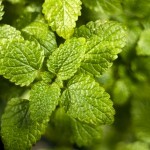 Whether this changes we do not know, as mint farmers are still smarting from the downturn in demand over recent years. Short term issues are unlikely to reverse this pattern. This issue has certainly caught the market by surprise and it’s one of those opportunities for speculators and some traders to force prices up, which could hurt any buyers who are going to need material over the next few months. 2017 production was significantly better than 2016 with a reported increase of 3 MT oil available after harvest. This increase from 4 MT to 7 MT has certainly given the market some needed relief after a period of instability. Qualities still vary and with this prices. For the higher 47-50% davanone material you can still expect to pay a 10% premium on other offers. Next crop March 2018. A lack of rains in the main producing areas has seen a decline in production of around 10-15% during 2017. This has impacted on prices, which have increased by a similar amount, but as we move into 2018 there could be further pressure on prices with little carry over thought to be available. The 2017 season saw an increase in production of around 10%. However, due to high domestic demand, flower prices have also increased by 10%, leading to some price pressure on concrete and absolute. At this stage, there are very little stocks at origin and with the next season not starting until April, you may expect to pay some higher prices in the first quarter of 2018. There are mixed reports from India depending on whom you consult and how successful they are in obtaining raw material. It also depends on the quality required, as there is a growing gap between the better qualities and the standard qualities offered. Overall the market seems finely balanced with no alarming shortage in supply, yet no surplus stocks to help ease prices. It seems that it is difficult for those involved with this oil to give any clear picture or provide long-term supply agreements, which casts some doubt as to how volatile the market is. For now, supplies remain thin and there’s growing concern that prices will rise during the early part of 2018. We start 2018 with some tightening of the market as the 2017 crop (in September/October) yielded some poor results as excessive rainfall disrupted the harvest. Supplies have been short for some time now as the 2016 crop was also poor and no carry over supplies came into 2017. The same can be said for now and with the next crop some time away prices may continue to firm. There is little fresh material at this time of year with prices finishing the year between $50-$55 /kilo. Unusually, we have seen a lot of poor quality material in recent weeks with mixed pricing so the advice will be to be careful of what you’re buying. In 2017 there was 70% less planting than in 2016 – that’s 300 MT less oil in real terms. There aren’t reports yet of any additional planting but this year the farmers did achieve a better return on their crops so it could encourage a little more planting in the coming months. Spearmint follows a similar pattern to all other mints with significantly less planting of around 60% in 2017! Over the past couple of years, there has been a good carry over in each year’s starting stocks, which has kept markets over supplied and very weak. There was around 120 MT produced in 2016, and this dropped to 50 MT in 2017. In theory, this is where many see the size of demand in today’s market, a far cry from the 250+ MT produced just a few years ago! Supplies have slowed due to weather conditions but remain reasonable, so general availability has not been impacted too much. The quality of raw material remains good and overall we are experiencing some stability with this product and no foreseeable changes ahead. Cananga prices remain high with little or no material available. The cananga flower is collected from the tree branches but today harvesters are hesitant to climb trees in the current poor weather conditions. This is likely to continue for the next couple of months, as conditions are not expected to change quickly. Citronella supplies are suffering as a result of excess rains and flooding, along with very strong domestic demand. The wet conditions are causing much lower yields and the net effect is less material available domestically and even less for export. Clove is certainly in crisis conditions. Supplies have been slow throughout the year, as Indonesia, in particular Sulawesi, didn’t really have any dry season in 2017, which is when most of the harvesting occurs. As such, we now find ourselves back in the wet season with no carry over supplies and little or no harvesting at this time. Normally we wouldn’t expect to see drier conditions until April, so expect prices to continue to rise in the short term, or at least until we hit a sustained period of dry weather. The 2017 season was considered good and when compared to other origins the Indian quality offers some good value for money. Now is a good time to take some cover. content. Only those with good rectification processes can bring material up to standard but these processes come at a cost. When reviewing price offers this is a typical example of you get what you pay for. Mace supplies have been steady despite the ups and downs of nutmeg supply. No real change is expected in the foreseeable future. Product continues to be available although quality issues remain a concern for some. There is no over supply in the market as many believe, just material more easily accessible locally allowing more people to trade the product. We don’t expect any major changes soon. 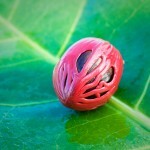 Nutmeg markets remain stable and at today’s price levels most of those involved in the supply chain are reasonably happy. Buyers should be vigilant regarding some poor qualities that are circulating in the market, which may look price attractive but may not be up to expected standards. Production looks like it is meeting market demand fairly evenly so no major change in prices or conditions are expected in the immediate future. Patchouli supplies from Sulawesi have started to slow down quickly as we approach a period of smaller harvesting (seasonal formalities), which comes after a very strong couple of months of sales. As a result, stocks have been significantly depleted and there have been some upward price movements in the local market. Those collecting material are now paying 20,000-25,000 IDR more per kg, which is the equivalent of $2 or 10% in real terms. After a long period during which there was the idea that the market must have bottomed, it most certainly seems to be the case now, with this period already behind us. Patchouli supplies from Sumatra have been stable (although in much smaller volumes than those from Sulawesi) but a recent surge in demand from the market has helped push prices up. 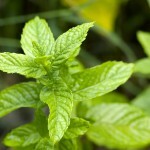 Overall it still remains a very good time to invest in patchouli stocks. For those waiting for prices to keep falling you may have already waited too long, with many large buyers having jumped into the market in recent weeks and most processors now having to buy fresh material at today’s new price levels. The general market aside there are a number of encouraging sustainability projects in place across Sulawesi, which aim to bring stability to particular areas of the market with an emphasis on supporting local communities. A number of multinationals and brand owners have endorsed this and Van Aroma is also heavily involved. These projects show a real value to everyone involved, ensuring the future is secure. This sort of transparent relationship among brand owners (or end-users), the processors, the collectors, the farmers and the local communities brings confidence to everyone in what historically can be a volatile market. 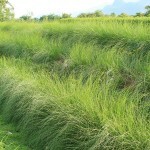 Vetiver supplies are once again slowing down and the material that does become available is regularly high in acid. Educating distillers not to overheat the product in order to speed up distillation is also an issue as it leaves a string burnt note to the odour, which takes a lot of time to rectify to bring it up to any sort of standard. Don’t expect any short term improvement in quality, supplies or prices. No carryover meant that at the start of the new season there was already immense pressure on supplies, just as we have seen for some time. Fortunately, the early news is that the crop appears to be healthy and yields are also up. However, given the recent growth in demand, we are unlikely to see any price relief any time soon and the advice would still be to cover as early as possible. Recent production has been no more the 30 MT in a market that used to produce and consume 65-70 MT. Those with real demands need to strategically plan this one well in advance! After successive poor crops the Italians will be hoping for something much better when the season gets into full swing late December. Hesitant to say too much at this stage, one grower’s opinion of the upcoming crop was ‘Satisfied despite the summer heat’, for at one stage the heat was causing much concern. We already know there was no carry over from the 2016/17 season and that for Italian producers the fresh fruit market offers by far the better return, so only time will tell what fruits make it for processing and how prices react in the New Year at a time of global pressures on lemon oil. The 2017/18 season has just started as we write so little information is available at this stage. Many of those to whom we’ve spoken believe that this season will be one of the better ones of recent years and a far cry from the negativity we’ve see of late. Italy is the second largest European orange producer after Spain. Sicily and Calabria are the main orange-producing areas, accounting for 59 and 22 percent of total production, respectively. Tarocco, Moro, Sanguinello, Naveline, and Valencia are the leading orange varieties grown in the country. Hopefully more good news in our next report. The season runs from August to November and the 2017 season was thought to be good. The main growing area is Tamaulipas with around 10,000 hectares of plantations with each hectare yielding 15 MT of fruit. One important factor in longer term investment in Mexican lemon is that, unlike most citrus markets around the world, half of the plantations are owned by processors so there is more control over supplies and less influence from the fresh fruit market. Oil availability is limited as is its influence in today’s market but with further investments afoot, it may not be too long before we see Mexico as a major player in the lemon oil market. 2017 was difficult for Mexican lime producers. The winter crop ending in February was small as producers scaled back production due to a lack of demand and healthy carry over supplies from 2016. That was unfortunate as the summer season proved more challenging than anyone would have expected. As per our last report there was a 22% reduction in fresh fruits (2.3 million tons to 1.8 million tons) and of this only 12% went to the processing markets. This is a total decrease of 43% – a huge deficit in the market. In any other year this would have proved catastrophic but weak demand from the major buyers has kept the market balanced throughout 2017. That said, these end users will not stay quiet for long so once their demand returns the supply pressures will be felt. 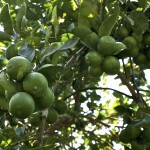 Although Key Lime production is year round, production in Michoacán targets the winter season (October to February), while production in Colima covers demand from May through September. Whilst most of the fresh orange production in Mexico is for the domestic fresh fruit market there have been some recent investments to increase juice and oil production. Oil production is now thought to be in excess of 5,000 MT and this figure could grow another 10% in 2018. Fresh orange production during the last campaign was down slightly due to bad weather and some pests with the 335,600 hectares of planted areas yielding around 2% less fruit. The orange campaign runs from November to October. The state of Veracruz is by far the largest producer of oranges, with 50% of the planted area and 52% of production. Other producing states include Tamaulipas, San Luis Potosi, and Nuevo Leon. 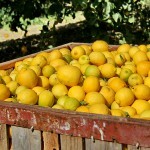 The majority of Mexican orange production is the Valencian type. The 2017 season started late March and finished early August. After a challenging couple of years supplies are once again healthier and with this we’re seeing some softening in prices. There was no carry over supplies going into the 2017 season, which started back in August, and a none too impressive crop has meant supply pressures continue. Floods in the Terai Plain prior to harvesting impacted yields and with 8 months until the next harvest the market could tighten further. Demand has increased for the isolation of natural linalool following the issues with lavender supply adding further pressure to the market. The 2017 crop was slightly above average at around 1,000 kilo. Currently, local supplies are limited but this shouldn’t cause any issues with the next crop starting in February. As the markets grow more aware of the amazing benefits of this oil, new applications and new aromatherapy brands are helping to significantly increase demand. Surplus stocks, which had been accumulated to support such growth, have been depleted in recent months with pressure now back on the supply chain. It is expected that demand will increase once the success of other brands and new products are realised and copied by others. However, activities in its native New Zealand should help support this growth long-term even if in the coming months there are a few minor supply delays. The 2017 season started and ended in April with all stocks at origin quickly sold. This is not unusual for this product as buyers are usually waiting for each new crop to start. Whilst many won’t give accurate numbers it is understood that there was some recovery in overall production in 2017 compared with the 35% drop in yields in 2016 over 2015. That said, of the 900 kilos thought to have been produced this year, half of this may have been blended with 30% sweet orange flowers. In which case the true production was closer to 750 kilo. We start 2018 with the market hungry for oil but there are still a few months to wait before the new season kicks off. According to some producers they have already pre-sold most of their crops and the general consensus is that demand will be higher than supply. Book early if you can! Overall supplies in 2017 have been a problem but as we leave the year there is a little optimism that the situation is improving. It very much depends on the demand patterns as in some months when demand is low there isn’t a great problem but in other months when there is some demand there is almost a crisis. Let’s hope the markets stay balanced in 2018 so we don’t run into the same issues experienced in 2017. Production continues to improve with good stocks now available at origin. This should remain in place for the foreseeable future, although the threat of additional CITES regulations could quickly change this. It is expected that changes to these regulations will come into effect during the first half of 2018 and will surely impact prices if not supply. It may be worth topping up these stocks sooner rather than later. Prices remain firm despite the start of the new season as recently as October 2017. No carry over supplies from the previous season had seen prices rise and current demands exceed the rate of production. The lack of stock in the pipeline during the off season became a huge problem in 2017 and this looks set to continue as orders come quicker than production. The harvest period runs until March and the fear is that there will be again no carry over stocks going into the off-season. This will only mean further supply issues and the possibility of higher prices. Get your orders in soon, as you may have a little wait! Climatically not many have had it worse than Peru in 2017. Early in the year, you could have referenced Peru’s severe 2016 drought as a primary source of concern when it came to their citrus crop, as a lack of rain saw fruit less mature at a critical time of the campaign. The droughts were then followed by some of the worse rains on record as a result of El Niño. The region of Piura, the largest production region for limes, was the most affected by the Coastal Nino. The region accounts for 57% of the country’s production. Other major production areas include Lambayeque (19%) and Tumbes (5.8%). The remaining regions add up to a total share of 18.2%. Over the past months, there has been a shortage of fresh limes in the region with prices rising as much as 105%. The new season starts in January 2018, which hopefully will bring some relief to the market. Hot weather conditions locally have all but decimated this year’s plantations with very little oil produced as a result. Calculations suggest that total production was just one third of a usual year with very little material now available at origin. 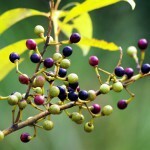 The material represents one of the best value oils in the market when it comes to its thujone content. It’s much higher than other origins and usually cheaper! Anyone who enjoys this product should get their orders in soon, as it is a long wait until September 2018 when the next season begins. The 2017 clary sage harvest began and ended in July and delivered some reasonable results with slightly more oil produced when compared to previous years. Today there is no material left at origin with all oil in the hands of traders. Global demand has grown considerably, as has the demand for clary sage seeds, so there are plans to increase the plantation acreage over the next few years. Expect prices to firm a little during the first half of 2018, as stocks are unlikely to see us through until the next season. Demand has been generally weak during 2017 and as a result very little oil was produced. What was produced was specifically for those who buy fresh material each year. Today there are limited stocks available and the new crop is expected in June 2018. 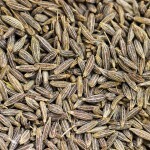 That said, with the total planted area for coriander down by around 30% next year, there could be very little harvesting of the fresh material unless people have their orders in early as most growers will let the plants seed and harvest later to produce coriander seed oil. It may be wise to plan ahead. We started 2017 with some of the lowest oil prices seen for 10 years – a stark contrast to recent times. It’s almost impossible to justify these prices as given the maths they appear unsustainable and this may be a factor as we head into 2018. These low prices are a result of surplus seeds stocks existing as we approached the last winter period so farmers and collectors were keen to offload them, almost at any price. This gave the processors a chance to produce cheaper oil but at the same time take a risk, as market demand was also weak. Seeds don’t store well but oil can be stored without too many concerns, so in some ways it made economic sense to produce stock even given the weak demand. However, it may have set an unhealthily expectation with buyers who will be expecting more of the same going forward. However, this may not be the case as every season is different and demand from the spice market appears to be returning, giving farmers a welcome boost and processors a new challenge, as they may need to pay that little bit more for their seeds! Some had speculated that growing areas across Russia had reduced in 2017. This was not the case, as the growing areas actually increased, but it will be the case in 2018 (we assume it was just misreported by some). We expect to see as much as a 30-40% reduction in the growing areas in 2018 and therefore expect the price of the seeds to increase, which will have a direct impact on oil prices. It is understood that there is plenty of oil in the pipeline to see us through winter as all production has now stopped but it is expected to be consumed by the time the 2018 season arrives. Therefore, when it does, we may be left with a whole new set of variables to work with – no carry over seeds, smaller crop, higher prices etc. so it may be worth looking at your stocks and buying healthily in the first half of 2018. The market was in healthily balance after a good 2016 season, which saw production increase on the back of near perfect conditions and demand also increase, leaving everyone happy. The 2017 crop wasn’t as good as the 2016 crop, as we couldn’t count on the same perfect conditions, but in general it was OK with production estimated to be around 45-50 MT. Prices remain stable, but we need to keep an eye on that growth rate in case it continues at the same rate as it has over the past 12-18 months. Whilst winter is only just being felt for most of us in the Northern Hemisphere it has been felt for a little longer in Siberia so supplies have been slow in recent months. Production did recover during the summer months and there is thought to be reasonable inventory available with the major resellers so we will hopefully get through winter without too many concerns. Investments in the Taiga (Siberia) region should help longer term sustainability of this essential oil. There are only a handful of plantations left in the region that continue to be harvested for oil. Year-on-year we have seen a decline in production with little or no real investment in new plantations for some time. 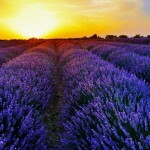 Most of what is produced is generally consumed domestically for the tourist market and local aromatherapy brands. In 2017 production was completed late July with just several tons of oil produced. Elsewhere locally in Ukraine there were another several tons produced of what is considered to be the same quality as over the border in Russia. Today there is no stock at origin and is only available through resellers. The 2017 season started in June and ran until October. Today supplies are good with citronellol content above 80% and at an attractive price. There continues to be a growing global demand and what feels like falling production from South Africa and other producing countries. Batch sizes are small and do little to fill the amount of enquiries. That said, efforts have been long under way in South Africa to improve this and ‘significant plantings’ should start to yield some results by 2018. Fresh lemon production grew by 15% to 355,000 MT this season, based on increases in area planted and normal rainfall levels in the main growing regions of the Eastern Cape and Limpopo. This is according to the USDA. These increases were partially offset by the mysterious fruit drop experienced in the Eastern Cape and, according to some data, will be consumed by the growing export demand for fresh fruit. Despite this sense of optimism, total fruits harvested were still down 20% on previous years. A lot more fruit than usual managed to go to the processed market on the back of processors being able to pay slightly higher prices for fresh fruit given the global prices and demand for by-products but realistically these extra volumes don’t really influence the global picture. There are still side effects from the 2016 drought (September – November) as trees slowly recover and bear more fruit. Improved rainfalls (with the exception of the Cape regions) have generally seen a much better return in fresh fruit, although oil yields are said to be down as much as 35%. The fresh fruit markets have been buoyant and as a result fewer fruit has been sent for processing. This was a surprise to some, as many believed there would be an increase in the fruit available for processing this year. This leaves the net effect of the current conditions as one that doesn’t read well. Today oil volumes and availability remain low and prices high – following the global patterns. The 2017 season resulted in the same positive vein as last year with favourable conditions leading to good yields. Rains at the correct times early this year helped the case and growers are more positive as demand seems to have returned to a healthier state. The season is up and running in South Africa (October to April) and there is a general sense of optimism that the growth figures expected should be realised. As the season runs opposite to that of Australia’s (June to November) the two producing countries fate can be influenced by the other, certainly for South Africa as the smaller of the two producers. Therefore, as Australia appears to have had a lower than normal season and with most oils stocks sold, this could be South Africa’s chance to shine. South Africa produces around 140 MT, representing 15% of the global market, and with global demand set to keep on growing you can understand why it continues to plant new areas of tea tree. There is always a risk of over supply, especially if both producing countries enjoy good seasons in the same year and demand growth slows, but when you look at the market today it is hard to discourage the highly enthusiastic South African farmers. Expect to see some price increases as the South Africans follow the Australian market closely and we all know prices there have risen in the past few months. South Africa’s total growing areas increased 6% over the past 12 months increasing to 7,600 ha. This positive news follows a downward trend over the past couple of years. According to USDA figures, 2017 will see a production of 363,000 MT fresh fruits with 5,000 MT thought to be consumed domestically, 234,000 MT exported and 124,000 MT processed. This is an increase of 15% on last year’s total fresh fruit production figures but 35% down on previous years. The increase in production is thought to aid the export of fresh fruits rather than additional volumes for processing, as demand for juice hasn’t grown and without the juice market there will be no additional oil production either. Prices locally for fresh fruits have increased 35% in the past 12 months. 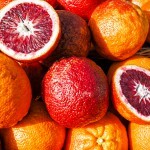 About 75% of the grapefruit in South Africa is produced in the Limpopo and Mpumalanga regions. Today most of the 2017 oil production has been sold. White Grapefruit remains the bigger problem as many areas of plantation were recently replaced with other crops. Pink supplies remain available but are limited with prices very firm. Spain enjoyed a reasonable 2017 season but that wasn’t enough to fill the gaps left by the French in the global market. Although there was a sense of optimism before the season, since then getting clear information about the success of the campaign has been difficult, with no official numbers available. It is also hard to calculate how much oil the Spanish buy from the French (or vice-versa). In different years these figures probably change but the lack of offers from the Spanish may be because they have supplied the French with more oil this year? Whatever the reality there are two notable issues to contend with. First, getting firm offers for any volumes and, second, approving the quality, as almost all samples analysed this season have been adulterated. It’s hard to find trustable partners during these crisis times for Lavandin Grosso. 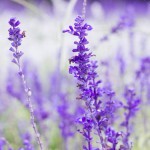 The market has picked up a little in recent weeks, perhaps on the back of the challenges posed in other areas of the lavender/lavandin markets. Until then, markets had been flat with reasonable carry over stocks still thought to be at origin at the start of the 2017 campaign. Today, prices have firmed a little but any new demands are unlikely to be as a result of real growth for ‘super’ but an alterative option for those in need of product. AILIMPO’s lemon harvest estimate (forecast) for the 2017/2018 season confirms a harvest of 1,115,000 tonnes in Spain, a decrease of 3.7% compared with the production figure for the 2016/2017 season, which ended on 31 August, with 1,157,800 tonnes. Regarding the varieties of lemon, an increase of 12% is expected for FINO lemon, with a total expected harvest of 907,000 tonnes. 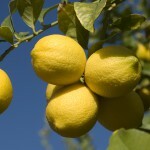 The increase in FINO lemon is due to new plantations entering into production. The VERNA variety, however, has an estimated decrease of 40%, due to high temperatures that affected flowering in May and June, with an expected production of 208,000 tonnes. Nevertheless, there has been significant flowering in September in late-blossoming crops, and the volume available for harvest in the summer months should be quantified sometime in the New Year. The second part of the Fino season started in mid-December with Spanish producers having the luxury of being able to adjust the pace of the harvest to market demand, as they have the great advantage that the fruit can be left on the tree for a long time without issues. With this, we avoid any over supply situation in the local market with the price of fresh fruit maintaining its strong average of €0.36 /kilo. The 2016/17 Spanish orange season was ultimately better than expected. After a slow start to the campaign, due to poor weather in December and January, the season recovered to see growth levels close to 20% when compared to 2015/16. The main Spanish orange producing areas are the regions of Valencia, Andalusia, and Murcia and each saw an increase in orange production for MY 2016/17 of 19%, 17.3% and 18% respectively. Unfortunately the news out of Valencia isn’t so good for this season, which started in October – a region which produces around 55% of Spanish citrus fruits. Recent estimates suggest a 20% drop in overall citrus production, equating to losses of 7.6% for oranges and 24.1% for mandarins. The main causes for this are the natural alternation of citrus crops, as well as the impact of last winter’s copious rainfall, which affected the roots and weakened the trees and resulted in an irregular flowering. The high temperatures of May also took a negative toll. There haven’t been many offers for oil this season so we continue to monitor the situation. Supplies have improved slightly aided by other growing countries also improving their contributions. As a result prices have relaxed a little but still remain firm. The 2017 crop started in June and ended in early July and was considered by some to be much improved on previous years after significant new plantings yielded their first results. Today, there is less pressure in the market than we have recently experienced and with this some small softening in prices. Market demand is very strong at the moment and raw material is limited resulting in some price pressures. These are expected to continue into the foreseeable future. The season started late May and will end in December so you would usually expect good supplies this time of the year. Unfortunately, due to major drought in the area, collections have been slow and stocks of oil are low. Whilst demand has been weaker of late it is expected to come back and when it does there will no doubt be pressure on supplies. The 2017 crop was considered good and similar to 2016 which was itself up by 20% on 2015. Today, the market is stable with no real changes to be expected during this year. Prices vary depending on the carvacrol content and are around the same level as the same time last year. The issues here are nothing new after years of decline due to citrus greening. What is new is the continuing assessments post Hurricane Irma, which continue to mount pressure on an already fragile market. The final 2016/17 season finished well below earlier season forecasts at 7.8 million boxes (1.5 million Red and 6.3 million White) down over 35% on the previous year, which itself was down 25% on 2014/15 – you see the pattern? Then just when you thought it couldn’t get any worse this season kicked off with a major hurricane decimating trees and sending almost ripe fruits dropping to the floor. Many criticised the first official USDA assessment, as it seemed to understate the magnitude of the disaster – especially for grapefruit. In October it stated that there will be a 37% decline in production when many farmers had said at least the number should 50%, some said as much as 70%! As it also went on to say there would be a 53% droppage you got the sense that lower forecasts were soon to come. In November the USDA suggested a further 5% decline in output and in December (12th) maintained its forecast at these levels, the worst production forecasts since the 1918-19 season. In many respects the actual numbers are irrelevant, the truth comes from what the reality is on the ground and there is simply very little fruit available and hardly anything for processing. This has sent prices spiralling out of control in recent months with many end users scrambling around to secure oil. So if the 2016/17 campaign was the worst since the 1930s, this current campaign could set whole new records and not for the right reasons! Do not expect any improvements. on underneath those headline figures. Droughts, wild fires and the imminent arrival of Argentinian lemons have been constant distractions to many, as has the fear that one day, Citrus Greening could hit the State. Despite all these fears, the consistency in fruit production means that for the first time California can claim the rights of being the largest citrus producer in the USA, having produced 4 million boxes more citrus fruit in the 2016/17 campaign that that of its nearest rival, Florida. 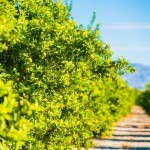 Of course, most of this is down to the demise of the Florida industry due to Citrus Greening, which is why many fear it is only a matter of time before this major challenge reaches its doorstep and threatens a $2.5 billion industry! The 2016/17 fresh fruit season finished 5% lower than the 2015/16 season. Today there aren’t any new offers coming from the USA producers, with many also saying that this next campaign will be down as much as 20%. These are unconfirmed reports as the first official data isn’t available until mid-January so expect more in our next updates. How low can you go Florida? You will be no stranger to bad news emanating from this part of the world, which has been compounded this year by the arrival of Hurricane Irma at the start of the 2017/18 campaign. Quantifying the local devastation is difficult and the numbers don’t do justice to the real impact for those who have lost the most. The USDA’s forecasts in recent months didn’t seen to quantify the full impact because on one hand it claimed droppage to be 50%, yet production forecasts to be down just 26%. This never added up and it has since revised its forecasts again by reducing them 9% in November and a further 8% in December. Expect even more revisions down in 2018! In November the total forecast production stood at 50 million boxes and a long way from what we would historically have expected from this region. In fact, the historians would tell us that this is set to be the worse season since the 1946/46 campaign and may even be passed on production by California whose latest estimate stands at 48 million boxes. When it comes to oil production we’ve probably already resigned ourselves to the reality that Florida isn’t such a global influencer anymore but it certainly does add to the pressure in an already firm market. The 2017 crop was down significantly as a large proportion of crops were destroyed during ‘Severe Tropical Storm Talas’ which hit the region mid-July. Harvesting usually takes place between September and December and had ended at the time of writing. In a usual year, Vietnam produces 25-30 MT. It is feared that figure could 50% less once final numbers are calculated. With low stocks in the market, prices have already firmed 30-40% in recent months with further increases likely as we go into 2018. Vietnam produces around 700 MT of cassia oil generally in the Yen Bai, Lao Cai region bordering China. There are also some trees found in Quang Nam, Central Vietnam. The main harvest period runs from April to June. This period yields the higher cinnamic aldehyde content of around 85-90%. 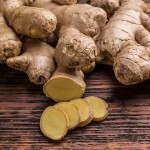 The second harvest period runs from September to November, which yields cinnamic aldehyde levels of 75-83%. Today there are reasonable stocks available.